Let me start Part II of our Cruise Report with what I left out in Part I. 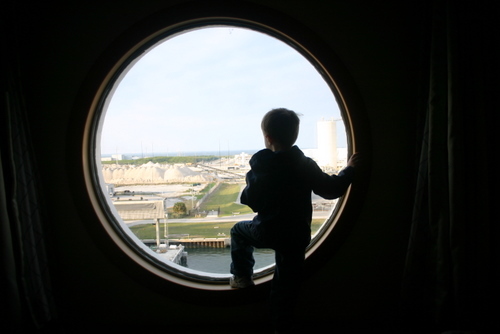 Check in at Port Canaveral” went rather quickly. I would guess less than 30 minutes. 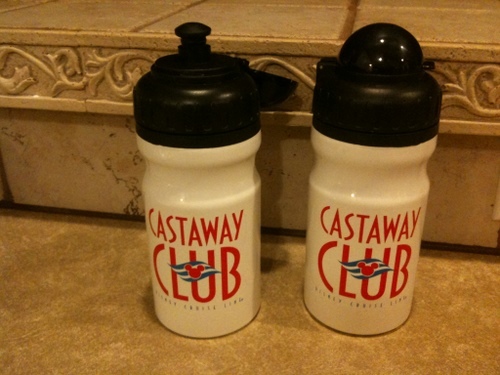 ” As Castaway Club Members, (returning DCL travelers), we had our own line to check in at the Port. 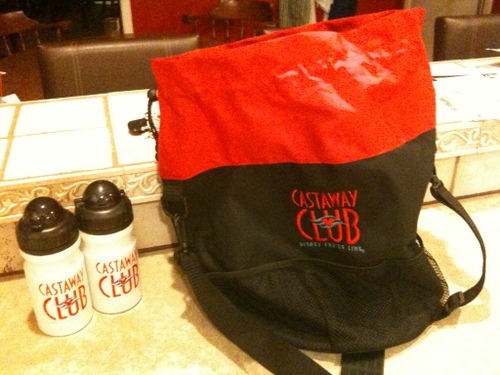 A very nice perk.” There is no charge to become a Castaway Club member. 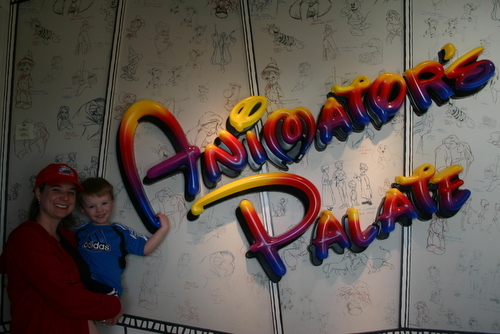 The first night of the cruise, we ate at Animator’s Palate, which had the best food and the most fun dining experience. The room transforms from black and white to full color by the end of the night. The food was amazing. The next two nights we ate at Parrot Cay (pronounced ‘key’) on board the ship. 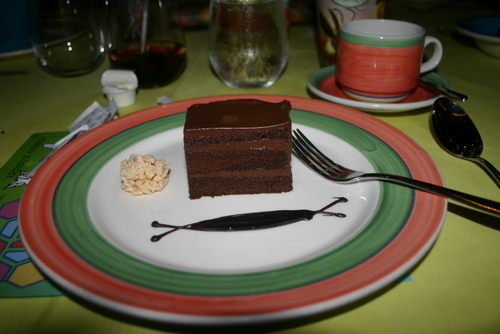 ” The food was good, but not the best we had or would eat on the last night. We did take a picture of dessert and Caden with our servers (that were great!). Since Caden is 2 years old, and my child, he is a picky eater. 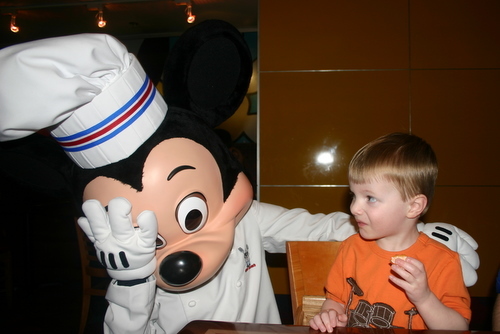 The servers were able to find something he would eat each night (if nothing else, the Mickey ice cream was always a hit). The show the second night was Toy Story the Musical and it was spectacular to see the characters from the Toy Story movie come to life in front of us. 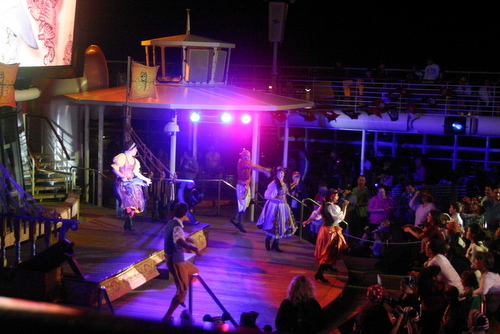 The next evening there was no live show, but the Princess and the Frog was shown in the theatre.” We decided to attend the Deck Party instead. Toward the end of the Party, it started raining a little and Caden was tired, so we returned to the room before the fireworks (fireworks at sea, pretty cool, even if we missed them this trip). For breakfast, each morning we at the Beach Blanket Buffet. The food was wonderful and there was plenty. There was an omelet station at the end of the buffet so I had made to order omelets two of the three mornings we ate at the buffet. 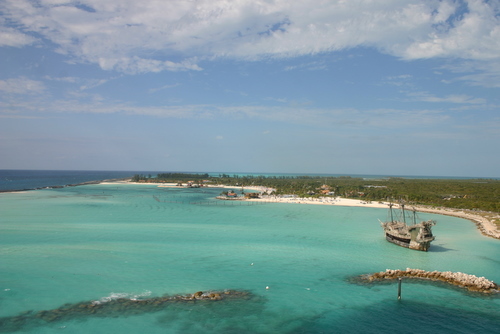 While Nassau was ok, Castaway Cay (again, pronounced ‘key’) is the sensational! It is Disney’s Private Island.” We had not been to the island since 2000.” In 2004, it was too windy to dock to the island, so we had a day at sea. 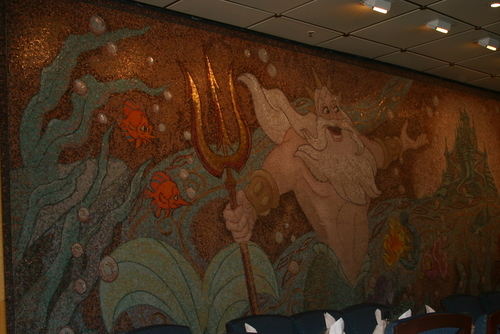 Later this day, I talked to the Captain about our 2004 trip.” We were riding the elevator with him. I ask him if the inability to dock with the island still happens occasionally and he said yes it does. He added that if it is too windy to dock, then it is too windy to really enjoy the island.” On the 4 day cruise, there is another day to try and dock with the island.” It was good to hear this statement. Our last two cruises were for 3 days, this one was for 4 days. We were already liking the 4 day cruise better, this was one more reason to like it better. 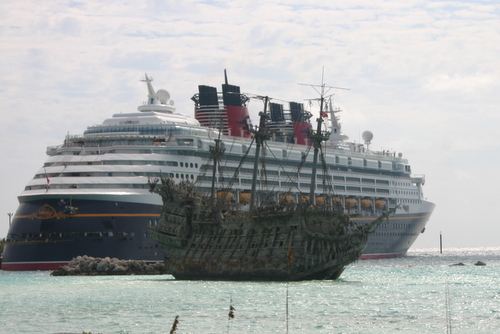 On Castaway Cay, we rented bikes and went for a 1.5 mile ride (very flat terrain). The entire ride was enjoyable except for one part of the runway (airstrip) where it was really windy. 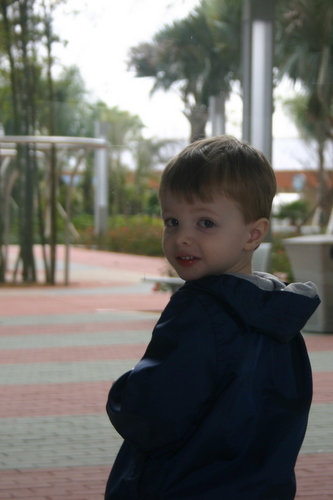 We ate lunch on the Island (provided as part of the cruise at no extra cost), then picked up a beach pale and shovel for Caden to play in the sand.” The water was too cold (for us) to get in although it was in the 70’s. On the way back to the ship, we stopped and took some photos of the Flying Dutchman (from The Pirates of the Caribbean movies).” They are working on a 4th movie, I hear! 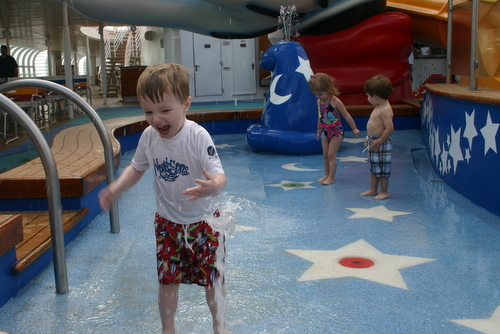 Once back on the ship, we let Caden try out the kiddie pool. 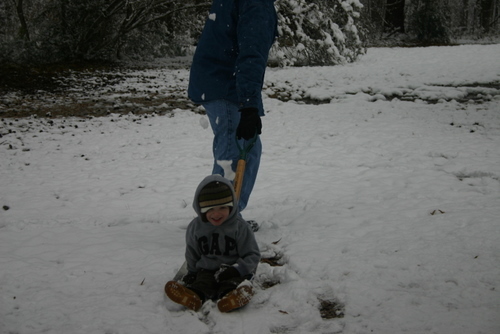 It was a hit with him. Our last day on the ship, we went to see the Princess and the Frog in the on board movie theatre.” Disney has a stadium style movie theatre on the ship which plays first run movies that would normally only be seen on land in a movie theatres.” Of course, there is no charge so it was a great opportunity to see how Caden would react to sitting in a movie theatre. The verdict, he liked the live musicals better.” We did make it through the whole movie but we won’t be taking him any time soon to one on land. Disney also shows 3-D movies (and says they are the only cruise line showing 3-D movies). Other dinning areas we tried on the ship included Goofy’s Gallery, which as some of the best panini sandwiches I’ve ever had, and Pinocchio’s Pizzeria, our evening snack, ha! 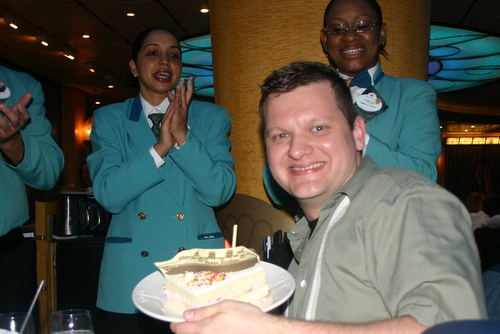 Although we didn’t try it, room service is included in the price of the cruise, which we though was neat.” Something new this cruise (for us, since it had been 2004 since we had last cruised) was that the fountain drinks were free throughout the ship. In the past, we had to buy a refillable mug. Our last night we ate at Tritons and the food was very good. I also got a surprise birthday cake (my birthday was actually the next day, so I wasn’t expecting it). 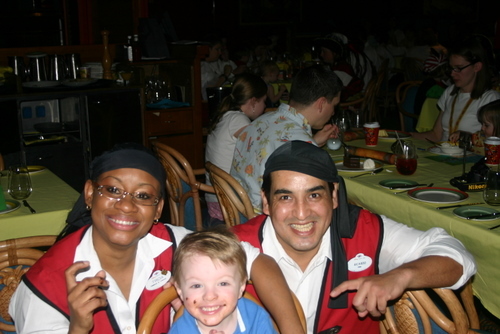 We are Disney Vacation Club (DVC) members which allowed us to go on this cruise by using our points.” We missed the DVC member meet and greet because Caden (and his parents) were taking naps. The meet and greet was for DVC members that were on board and although we didn’t make it there, we did meet some on the bus ride to the port. 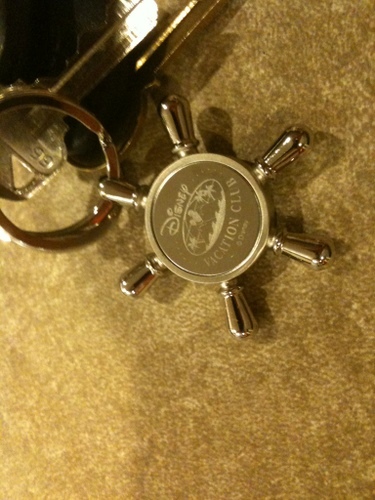 We stopped by the DVC booth on our day at sea and shared that we were members and had just missed the meetings due to nap time.” The DVC guide gave us a few gifts, including baseball hats, key chains and a photo of Walt and his wife on deck of a Cruise ship (a photo which is in all of the staterooms). DVC had some informational meetings for guests (and members) about their current specials (which were good). They gave away a” $300 on board ship credit at each of these meetings, so I attended the last one. I didn’t win, but the meeting is a great refresher on how DVC works and opportunities it gives us. 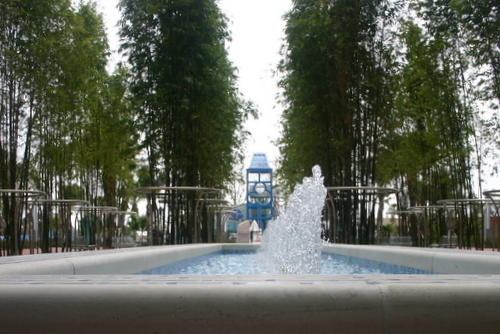 I really like that DVC is not a high pressure sales time-share.” They present the information and let us decide. There are also great deals on booking the next cruise while on board, even for DVC members, we get a price (point) break. Debarking was pretty smooth. Our “big” suitcases were picked up the night before and taken off the ship for us the next morning.” We picked them up, grabbed a porter who walked us through customs. I recommend this with lots of luggage and with kids. It took no time at all to go through customs. 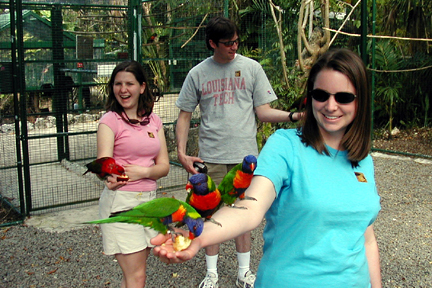 Want to see more photos from the trip? We just got back from a Disney Cruise and it was a blast. 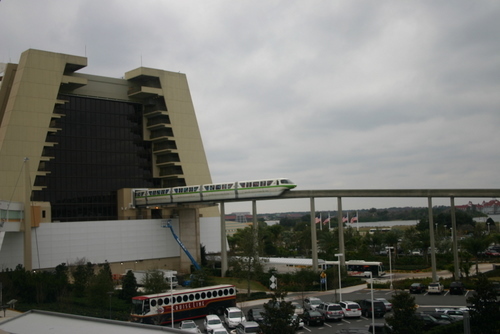 We flew into Orlando from Jackson, MS (about 3 hours away) the day before the Cruise and stayed one night in our second home (Disney Vacation Club), Bay Lake Tower a the Contemporary. 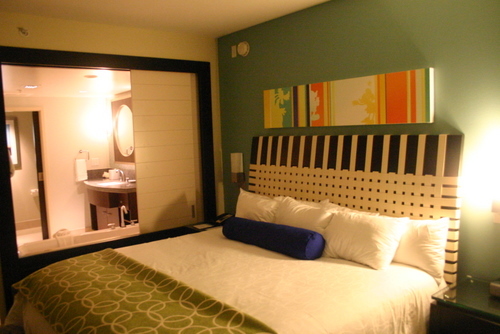 When we booked the trip, Jennifer and I had talked about enjoying the nice bathroom in that would be in our room. I was talking about a 1 bedroom, but she was thinking a Studio room (which has the basic bathroom). So she was very surprised to open the door and see that we were staying in a 1 bedroom. Of course, this made her want to stay longer, ha! We dropped off our bags (just carry ons, Disney’s Magic Express was taking care of the big bags), and made it to Chef Mickey with time to spare for our 8:10 pm reservation. 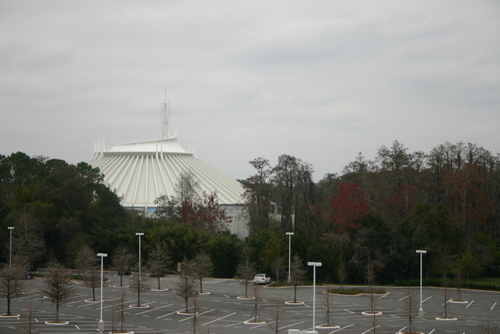 After dinner, we went back to Bay Lake Tower and went to the Top of the World Lounge on the top floor. We had missed the fireworks for the night, but wanted to at least walk through the Lounge before heading back to the room for a little relaxing. After breakfast, we took a few more photos in the lobby area of Bay Lake Tower. 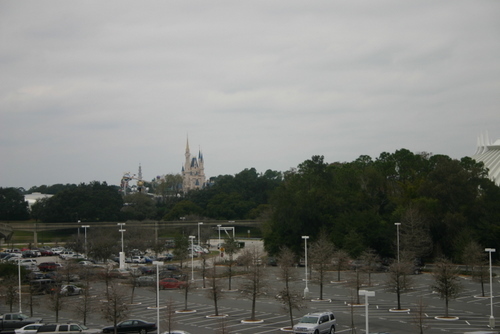 The lobby is really small (which makes sense, since you check in at the Contemporary). The lobby had looked huge on all of the photos we had looked at before our trip. A couple of hours later we were at Port Canaveral and aboard the Disney Wonder, Deck 7, Room 7010 (toward the front of the Ship). As Castaway Members (Disney Cruise Line repeat cruisers), we not only had a special line to get us on-board quicker, we had a few little gifts waiting for us! 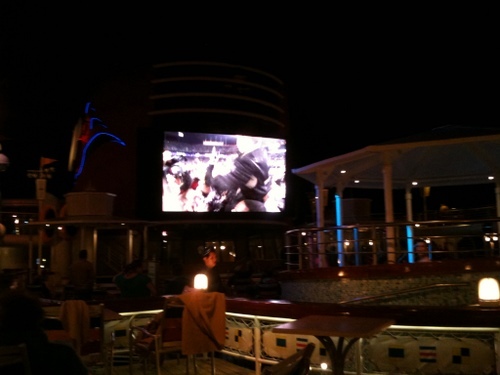 Of course, the Super Bowl was playing and we got to catch the last 7 minutes of the game which was playing on the Deck. I know many people maybe wondering why we didn’t watch the whole game. There was a live theatre show during the game, and Caden was more likely to watch it over a Football game on TV. 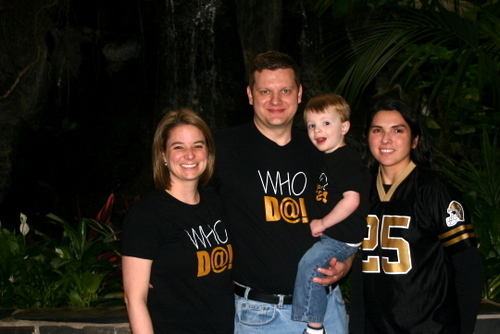 He did love the live musical (The Golden Mickey’s) and we got to see the end of the game. Go to the next post!